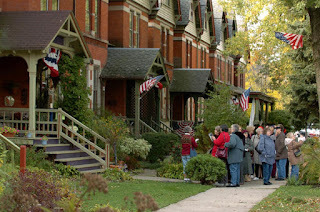 Recently yours truly has devoted some space to Michigan State House Bill 5232, which would allow historic district designation to lapse after ten years. The sponsor of the bill, Representative Chris Afendoulis (R-Grand Rapids) argues that it his bill is protecting property owners rights. Opponents of the bill say that historic districts are more desirable places to live. Today we have an article from CityLab, by National Trust for Historic Preservation president and chief executive officer Stephanie Meeks, about why historic districts are so important. The story, "Why Historic Preservation Districts Are Crucial to Cities," argues that "Historic neighborhoods provide benefits to everyone, not just homeowners." 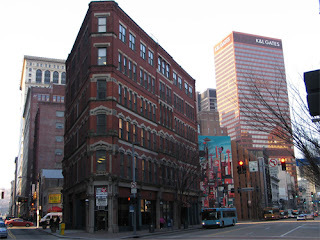 If anything historic neighborhoods add a unique charm and vitality that cannot be replicated. 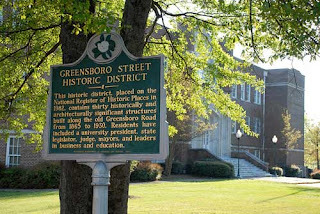 To put it this way, historic districts provide an authentic experience that cannot be manufactured. Across the United States, people from all backgrounds, led by the millennial generation, are choosing to live, work, and recreate in historic neighborhoods. When they were queried about their reasons for moving to these areas, the residents frequently spoke of "...the desire to live somewhere distinctive, to be some place rather than no place." 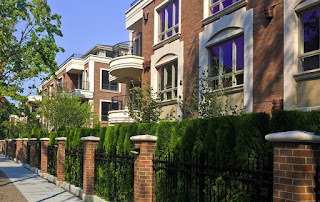 They wanted operable windows, exposed brick (a favorite of Blogger), and walkable communities. They continuously words like charm and authenticity to describe what they they wanted in a place. In essence, the majority of contemporary Americans wanted their homes and work environments to be unique-"...the kind of distinctiveness, character, and sense of place that historic preservation districts provide." 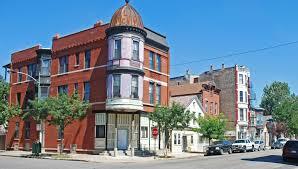 We should not be too surprised that historic districts are beneficial to everyone, regardless if they are homeowners. 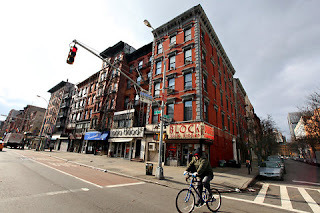 Ms. Meeks cites the example of New York City's Lower East Side as a place that hosts millions of visitors annually, who want to experience a wonderfully intact 19th century tenement neighborhood. 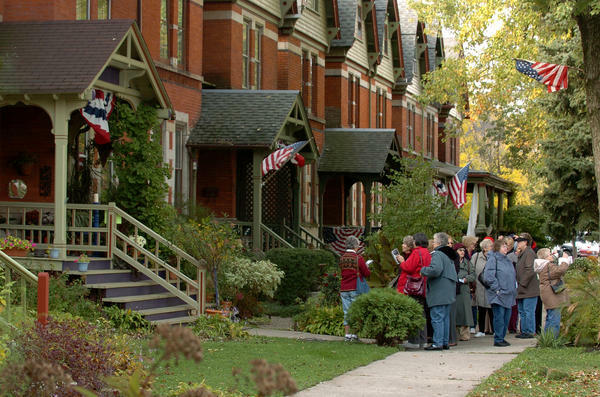 Chicago's annual Pullman Historic District house tour is one of the most popular tours in Illinois, giving tourist a glimpse into George Pullman's planned community. These historic districts and thousands like them across the country-Milwaukee Avenue Historic District in Minneapolis to Harvard-Belmont Historic District in Seattle-do more than just provide people with a place to live. They are tangible connections to our past, living history lessons. "The connect us across time to those who came before us." Historic preservation districts not only connect us to our past but also tell the story of the American (or any) nation, as all its complex and diverse glory. 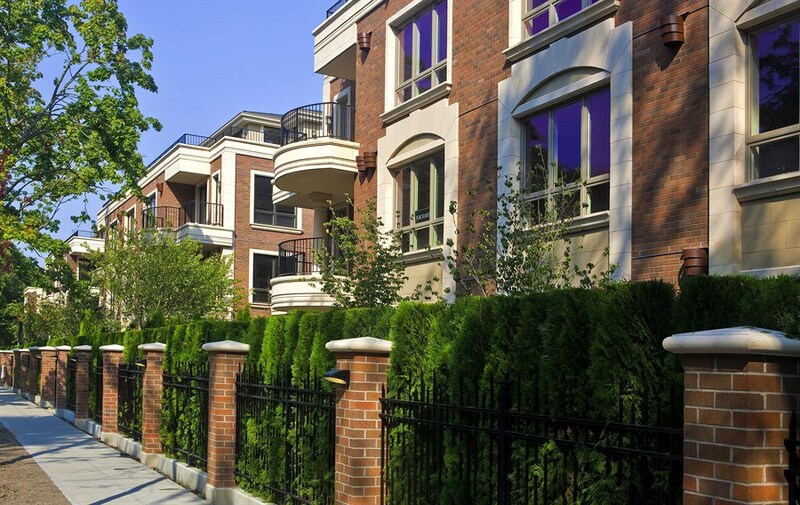 Some historic districts, like Georgetown or Beacon Hill, feature grand stately homes with affluent residents. 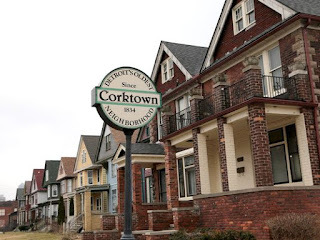 Others, like Eatonville, Florida or Corktown in Detroit, are more modest communities that have been home to generations of blue collar families. The history within in these communities is just as important and preservation-worthy as the history in the more bold faced places. Recently, Blogger posted an article titled "Historic Preservation As A Tool For Good" (Feb. 8, 2016), that looked at why historic preservation districts should be consigned to the rubbish bin of history. Ms. Meeks commented, "...largely glosses over these attributes of historic districts focusing instead on the suggestion that historic preservation districts are to blame for the affordable housing that many U.S. cities are now facing, mainly because,...they thwart attempts to achieve dense neighborhoods that provide housing for more people." This is a typical opinion among a particular group of urban economists, as Ms. Meeks continued, "...it is also deeply flawed, flawed a number of reasons." First, older buildings are better equipped to provide affordable housing because they were designed for multi-families and uses. This reason is precisely why, across the country right now, as we speak, "creative adaptive reuse projects are converting historic schools, warehouses, old homes, and other buildings to housing for those in need." City, economists don't seem to have fully processed one thing the designers know, which is how tremendously dense a city can become at moderate heights. Boston's North End, in Jane Jacobs' day, achieved 275 dwelling units per acre with hardly an elevator in sight. ...the greater San Francisco metro area had added 480,000 private sector jobs over the past five years, but only around 50,000 new housing units-slightly more than 10 percent of what is needed. To make matters worse, whatever new construction that does occur tends to favor the desires of the city's elite. Planning professor Karen Chapple succinctly put it, You can just simply make much more money building for a luxury market. Stephane Meeks writes, "Many were vacant as a result of real estate speculation and warehousing." San Francisco's one-space-per-unit parking requirement increases the affordable housing costs approximately 20 percent. Housing experts have speculated that removing this parking requirement would enable 24 percent more people to buy their own homes. Historic preservation districts are not the enemy of affordable housing, to the contrary, they have the ability to expand housing options. A historic district demonstrates that history, sustainability, and economic development make ideal partners. They are not the sole reason for the affordable housing crisis. Just the opposite, historic districts are one of the best mechanisms for "preserving density and smart, vibrant growth-for affordability crisis whose origins lay elsewhere."